you may already know,but the wheels are different for the f1.the tires are the same as we run on the trucks. I'm not sure what premount ed tires would work. I have those tires, just waiting on Rims. I don't like to mount and balance tires. I would hope you could find them for F-1 already mounted. Any suggestions on where to get premounted? I have a balancer but balance is generally good to the first wreck. The tamiya tcs marked f1 tires part number tam1031 and tam1032 are what I used on my f1. These are the same exact tire I have on my 21.5 truck just using the crc wheels. Delta should have the tamiya tires in stock. I am good with F-1 too. I can never get a straight answer on what tires are used for F-1. I have heard you have to run Tamiya tires. Then I hear others say they are the tires they run on the trucks. Can someone tell me am I missing something here? I have seen CRC has tires on there website etc. I just don't want to buy tires that are not legal to show up to a race. There you go thx Chuck. I tried my sprint car on the tri oval and worked really good.it didn't affect it at all.i also tried my f1 and was surprised at how well it ran. All we are trying to do with the tri oval is try something different. If it doesn't work out then we don't do it again. Simple. 17.5 sprint is a fast class on a fast track and it seems that the same drivers are tearing up equipment week after week. Let's face it, it's not an easy class to get started with and definitely not cheap to buy into. I would suggest a slower, easier class for half of the 17.5 field. That or they need to start driving smarter. 21.5 sportsman truck is perfect. Like I said let's try it. Go ahead and try to get a class going. It's not an easy thing to do but I do see people at least coming to give it a shot. https://www.teamcrc.com/crc/modules.php?name=News&file=article&sid=179Crc is one company that makes a 1/12 oval pancar. Unless you limit it to road course specific chassis you would want something like this. And at that point you should just run 1/10 scale since it's already up and running. Put a nascar body on your car and bring it on the 24th. Well if you are going to cater to the pan cars, then I guess I won't get too much resistance in trying to start up a 1/12 scale NASCAR group. Bodies are available on Windtunnel RC for those looking to run 12th scale NASCAR. Kraig says 3 cars equal a class. So I will hang up the 1K sprint car and bring out the 12th scale. Associated car run the battery both Left side only or Trans verse. Trinity red dot or black dot only. The shop has red dot I'm sure or u have some you can use as well. Bring some simple green and towels also to clean the rubber tires before saucing them. Very important. Got my truck done so hope to have some fun. What are rules for tire sauce? 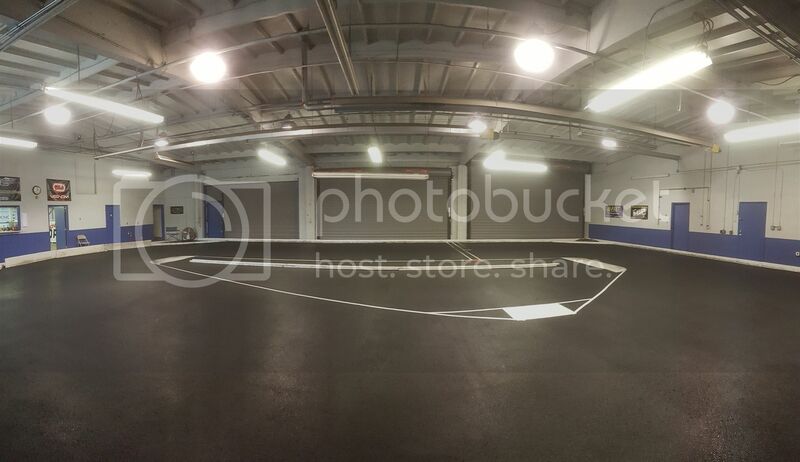 Indoor asphalt oval this Sunday! Sounds like a nice turnout with street stocks and b mods coming as well. There is $20 cash on the line to the winner of the 17.5 wingless sprint class. Tech will be done so leave the funny business at home where it belongs. 21.5 sportsman truck is gonna be stacked. I think Brekle is due for a win after a great showing @ Groundpounders last weekend. Its also our 1st race with 13.5 nationwide. Can't wait to get my speed on! We want to hold open oval practice this Saturday from 12 to 5. Maybe later if there are enough people there. Can't wait! Planning a schedule for a few spring dirt oval races for outside and would like to get our locals feedback. With my personal schedule we will run both Fri. and Sun. Fri. April 22nd.., Fri. May 6th., Fri. or Sun. May 27th. 29th. 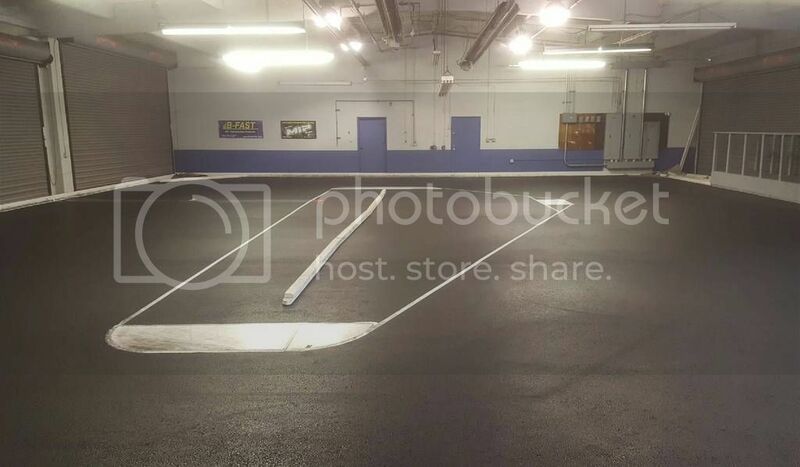 Our next asphalt oval race will be Saturday March 26th. The race was originally scheduled on a sunday the 27th but that is easter we decided to change to tue 26th instead. Going forward our nationwide pan car class will run 13.5 roar approved motors instead of 17.5. This will bring all 3 tracks in the norcal area (delta, p1, and ground pounders) closer to running the same exact rule set. This is an expert level class and will be going pretty darn fast. We still offer 21.5 sportsman truck with rubber tires as our entry level sportsman class as well as 17.5 sk which is open to anyou skill level. We tested briefly a couple17.5 trucks with rubber tires but it was not much faster than 21.5 truck (about 2 tenths) and was about half a second slower than the nationwide class with 17.5s on foams. It seems the rubber tires while working well really slow the cars down and level the playing field. Hope to see you all on the 26th!